Candidates who successfully complete the Supply Chain and Logistics Management (SCLM) course and meet the conditions specified by CIPS which include module choices (see accreditation statements below for conditions), may apply for full membership of The Chartered Institute of Procurement and Supply . Acceptance is subject to the submission of a formal application and evidence of three years of experience in procurement and supply management in a position of responsibility. Entrance and subscription fees applicable at the time of admission to CIPS are payable. In order to apply for MCIPS candidates must apply directly to CIPS using their application process and it will be necessary to provide documentary evidence. Therefore, candidates will not be able to apply until after the Exam Board has met, their degree has been approved by Senate and their transcript and status letter saying they are eligible to graduate are available. Please note that these are produced by the Academic Office not WMG. Note that the CIPS accreditation is renewed annually. On enrolment to the ITSO programme, candidates will be eligible to apply for a one year student membership of the IOE at a reduced rate of £20 (normally £60). The benefits of membership can be found here. Candidates must apply directly to the IOE using their application process. This offer is only available for the one year period during which you are registered with the University. You may be required to provide documentary evidence of your registration. Candidates who successfully complete the ITSO programme may apply for Associate Membership of the IOE. Acceptance is subject to the submission of a formal application. Subscription fees applicable at the time of admission to the IOE are payable. In order to apply for this level of membership, candidates must apply directly to the IOE using their application process and it will be necessary to provide documentary evidence. Therefore, candidates will not be able to apply until after the Exam Board has met, their degree has been approved by Senate and their transcript and status letter saying they are eligible to graduate are available. Upon graduation candidates wishing to study for the Advanced Certificate or Diploma in International Trade with the IOE will be exempt from some elements of these programmes. Details of this Approved Prior Learning can be provided by the IOE upon request. The following courses are accredited by The Institution of Engineering and Technology (IET) as fulfilling the educational requirements for registration as a Chartered Engineer when presented with a CEng accredited Bachelors programme (or equivalent prior learning). Note that in all cases your MSc project must be suitably technical in nature. The IET have published information on how to determine if you are ready to apply for CEng; the IMechE have similar information . MSc Supply Chain & Logistics Management (SCLM) has been accredited by CILT during the period October 2017 until 30th September 2023. Students who enrol and graduate from the SCLM MSc during the period of accreditation will receive an exemption from the academic requirements for membership at either Chartered Member or membership level of the CILT. There may also be a reduction in the length of experience required. For more information on CILT, and to view the universities which hold a CILT Accredited Degree, please visit the CILT webpages. 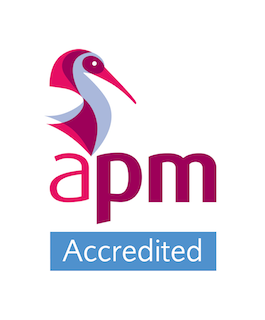 This course has recently been accredited by the Association for Project Management (APM). More information on this accreditation will be available soon.